AMD has scored big with the gaming-console builders, earning design wins with Microsoft (the Xbox One), Sony (the PlayStation 4), and Nintendo (the Wii U). Now the company is turning its attention back to PC gaming with the launch of its R7 and R9 graphics processor families. But AMD has a funny definition of “family,” because some of the new GPUs it recently announced, including the Radeon R9 280X reviewed here, aren’t entirely new: They’re tweaked versions of earlier products. AMD objects to my classifying them as “rebadged” because that term describes an old product that’s merely dressed up with a new name. 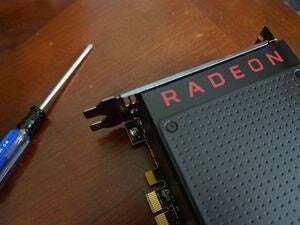 In this case, AMD’s engineers took last year’s Radeon HD 7970 GHz Edition, tweaked its specs, and added some new features before slapping a new label on it. But a company spokesperson has confirmed that the Radeon R9 280X “share[s] the same ASIC,” or application-specific integrated circuit, as the Radeon HD 7970 GHz Edition. 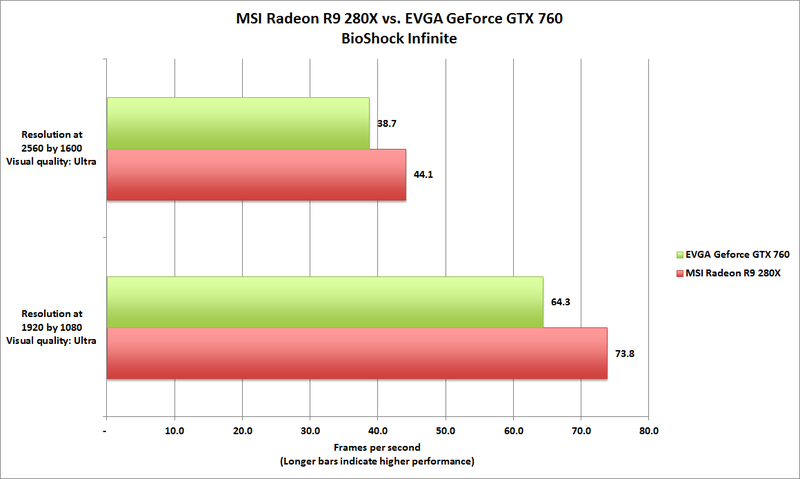 The R9 280X lets you turn up the details in 'BioShock Infinite'—on a 30-inch display, no less. AMD’s marketing shenanigans put boutique PC builder Origin Computer’s very public breakup in a whole new light, but don’t let that dissuade you from considering a video card based on this—ahem—new GPU. Judging from MSI’s implementation, the Radeon R9 280X OC Edition, I’d say AMD is bringing high-resolution gaming to the masses—or at least the moderately well-heeled masses. A Radeon HD 7970 GHz Edition card cost $500 when we reviewed it in June 2012, and other cards based on that GPU were selling for around $385 the day before this launch. MSI’s card is faster, it delivers several features that aren’t possible with the old GPU, and it’s priced at just $299. Similar to the older GPU, the Radeon R9 280X processor consists of 2048 graphics cores paired with 3GB of GDDR5 memory linked by an interface that’s 384 bits wide. MSI departs from AMD’s reference design by mounting its Twin Frozr IV dual fan and heat sink over the GPU and memory, and it gooses the GPU’s clock by a modest 50MHz, running it at 1050MHz instead of the reference design’s 1000MHz. MSI didn’t push the memory’s clock speed at all: It runs at a stock 1500MHz. You’ll need one PCIe x16 slot to install this card, and it will take up two of the slots on the back of your PC. Such a size is pretty common for higher-end cards (some over-the-top designs occupy three slots). You’ll need a minimum of a 500-watt power supply with one six-pin and one eight-pin power connector to run a single R9 280x card. Double those specs to run two of them in CrossFire. 'Dirt Showdown' results were no exception to the performance pattern. MSI provides two Mini DisplayPort connectors, one HDMI port, and one DVI-I connector on the card’s mounting bracket (AMD’s reference design has one full-size DisplayPort, HDMI, and dual DVI ports). Either configuration makes connecting multiple displays easy, although it’s a pity that so few consumer monitors feature DisplayPort connections. Speaking of DisplayPort, older GPUs depend on it to deliver AMD’s EyeFinity multimonitor technology. With those cards, you can connect a maximum of two HDMI or DVI displays, but the rest must be DisplayPort (or have active DisplayPort adapters). GPUs in the Radeon R9 family support up to three HDMI or DVI displays, and you can add up to three more (using DisplayPort) to rock six monitors in all. There are some stipulations: All the displays must support identical timings, and you must configure the display clocks and timing at boot time—hot-plugging is not supported. 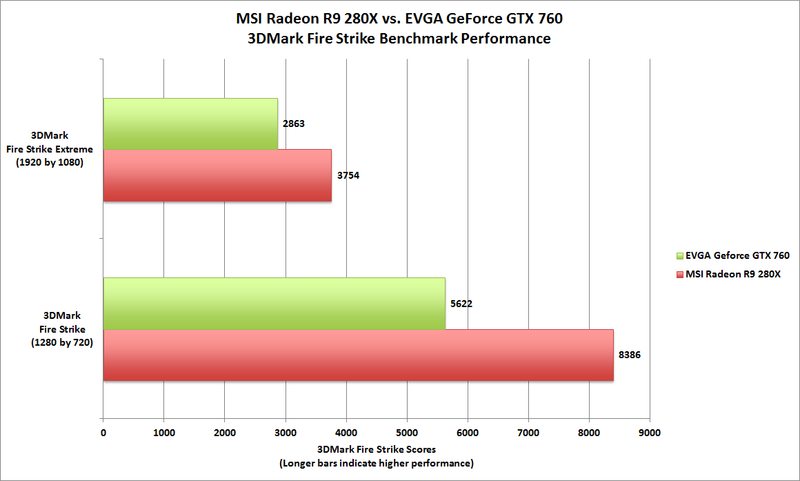 AMD's new GPU performs well on artificial benchmarks, too. The Radeon R9 280X also supports AMD’s Project Mantle API (application programming interface) initiative, which promises game developers more direct access to unique features of AMD’s graphics hardware—allowing them to program “closer to the metal” than with OpenGL or DirectX. That isn’t to say AMD thinks it can abandon support for either of those entrenched APIs. In fact, AMD’s Radeon 7000-series, Radeon 8000-series (OEM), R7-series, and R9-series products will all support DirectX 11.2 (yet another feature Nvidia’s hardware can’t match). 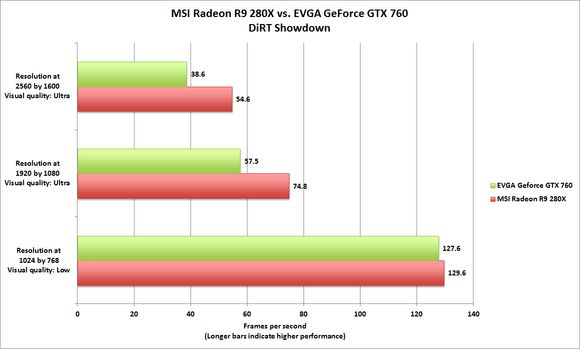 When I pitted MSI’s card against an overclocked version of Nvidia’s GeForce GTX 760 (an EVGA-branded product), the Radeon R9 280X won every match. 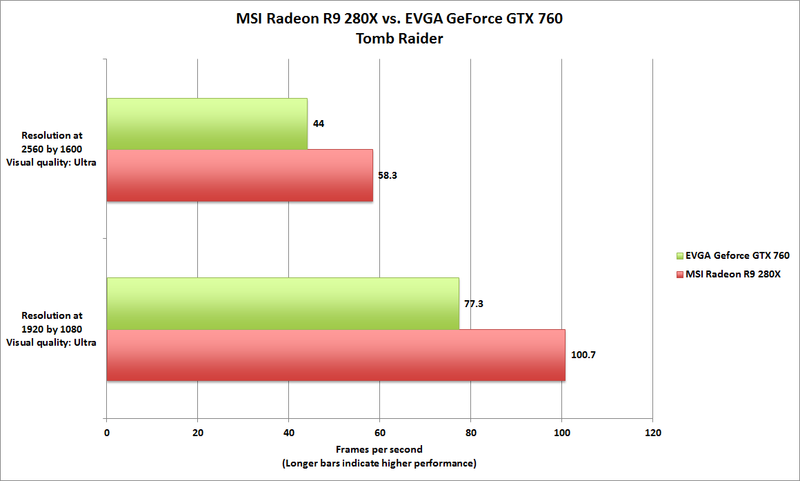 Am I still sore that AMD didn’t come clean about this GPU earlier? You bet. But considering the performance, I have to cut the company a little slack.